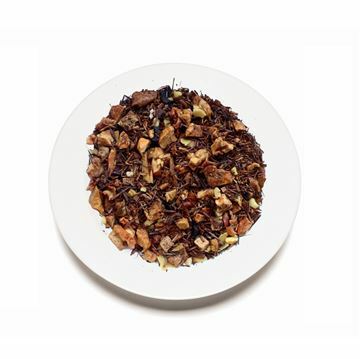 Although fruit teas do not actually have a tea leaf in them, they're full of flavor! 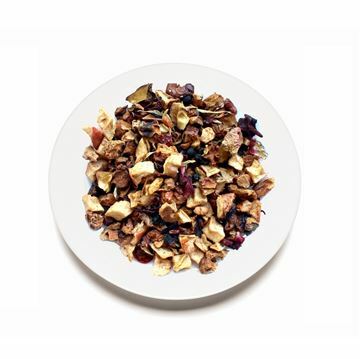 All of our fruit teas are made up of dried nuts, fruits, herbs and blossoms and are naturally caffeine free. Refreshing, cooling buttermilk with just the right dash of lemon. It’s beautiful glowing colours of white and yellow blossoms resemble the warmth of the sun. No wonder why buttercup and brimstone butterfly get along so well! Wonderful served hot, or as an iced tea. This tea tastes just like peach ring candies! It has a fruity and sweet flavor that makes it great served both hot or as an iced tea. The mellow peach, sweet pineapple and refreshing kiwi create a well balanced tanginess that will leave you wanting more! 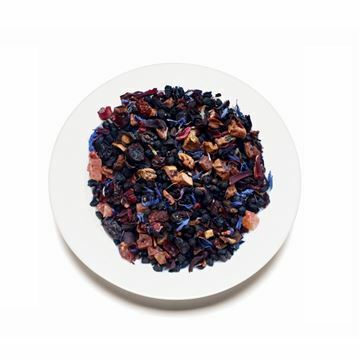 This award winning low acid fruit tea blend is wonderful both hot and iced! The large flakes and cubes of juicy exotic fruits provide a sweet and refreshing flavor that will be enjoyed by all ages. Try drinking this tea as a healthier alternative and replacement for juice drinks! 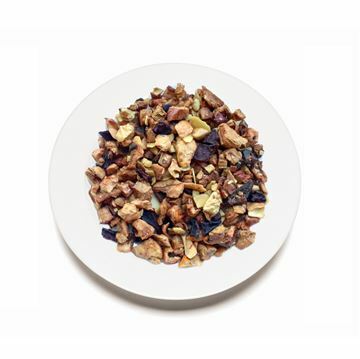 This blend combines exquisite pieces of many different fruits with bright cornflowers. A tender sweetness comes from the apple and papaya pieces. 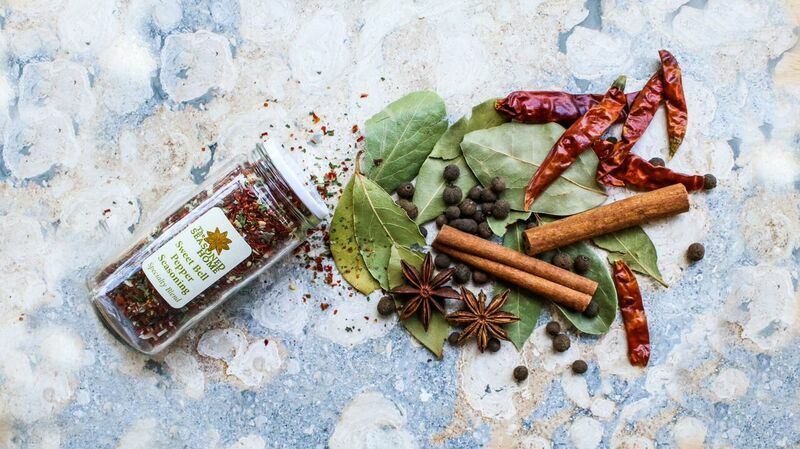 The luxurious infusion refreshes on hot days with an exotic sparkling flavor and a wonderful aroma. Ideal as a cold refreshment and iced tea! A colorful selection of delicious fruits and berries from the garden has been lovingly brought together in our basket to create a very special fruit blend. This unforgotten old love offers and unrivaled taste in each cup. A true queen among the fruit blends. Noble, simple and elegant! For this intense and exotic pleasure, we left out the apple pieces and focused on papaya cubes. 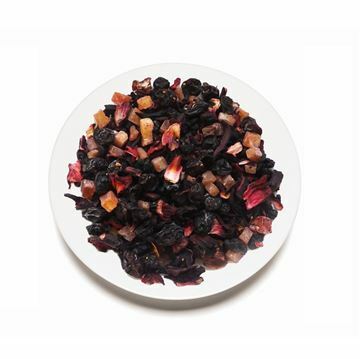 Strength and richness are contributed by fruity, sour hibiscus blossoms and different air-dried and freeze-dried berries.